The conflict took place on August 20th, 2017 in the Russian city of Khabarovsk, outside a cafe early in the morning. 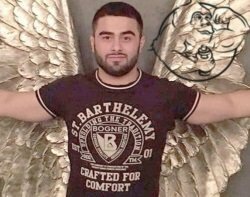 The exact motives of the deadly fight between the world powerlifting medalist Andrey Drachev and Anar Aliar Ogly Allahveranov are yet unknown. The 32 years old Andrey Drachev was a former professional powerlifter. As a matter of fact, he has won the silver medal in the 2011 World Championship in Pilsen in the 120 kg class, and another silver medal in the 2010 European Championship in Köping in the 125 kg class. 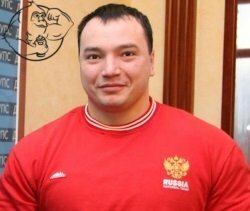 In addition to that, he has also been the Powerlifting Champion of Russia in 2014. After retiring from professional powerlifting, Andrey Drachev has dedicated himself to bodybuilding and has even won the Championship of the Primorski Region in the "Extreme Bodybuilding" class. On the other hand, his opponent, the 25 years old and 175cm tall Anar Allahveranov, is known to be an expert fighter. In fact, according to his close ones, Anar participated in MMA, combat sambo and military hand-to-hand tournaments. Therefore he had extensive experience in fighting, and he would frequently cause street fights. Up to the moment, he was studying at a railroad college and was working at a construction site. As a result of several hits in the head, Andrey Drachev has died due to craniocerebral injury before he could be attended by paramedics. According to the official press release, he was brought into the hospital in the condition of clinical death, and attempts to reanimate him were unsuccessful. Meanwhile, Anar Allahveranov has been already apprehended by the police and he is held under custody. The charge is: "intended infliction of grievous bodily harm leading to death," which is penalized in Russia with a prison sentence of up to 15 years. However, he is not the only one who will be punished by law, since the security guards of the cafe can also be prosecuted. Witnesses of the fight said that the MMA fighter Anar Allahveranov was the protagonist of another two fights that same night, so it seems like he was the initiator of this one as well. He approached Andrey, who was just sitting at his table, and started a verbal altercation. It was mentioned that the powerlifter was quite drunk, and did not want to fight on the street. What's more, the same witnesses claim that Andey Drachev offered the cocky fighter to settle things down in a proper setting of a fighting ring after sobering up. Interestingly, nobody intervened in the fight until it was too late, and the critical hits to the head have been done. According to a security guard of the cafe, he was not allowed to stop the fight by the bystanders, who said that it was a "one on one" fight. Hence, they would not let him intervene. Therefore, all he could do, was call the police, and this is precisely what he did. Sadly, this is not the first incident leading to death of Russian athletes. 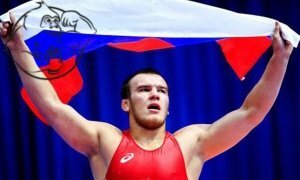 Earlier this summer Yury Vlasko, two-time Junior European Champion in freestyle wrestling, was murdered on the shores of the Lake Baykal in Russia. He came to that region to participate in an international competition in Ulan-Ude city, and at the moment of the accident he was showing foreign participants the beauties of local nature. Yet another athlete was killed in another quarrel a couple of months before that – the 19 years old MMA fighter Denis Razdrogov was shot to death. Three men were causing trouble in a night club in the city of Ustyug, and Denis intervened to help the security guards of the club to kick them out. Nonetheless, the three aggressive men later came back with a shotgun and killed him. In a video captured by the security cameras it can be seen how the ex-cons shoot Denis in the leg, causing him a massive blood loss, which was the final cause of his death.